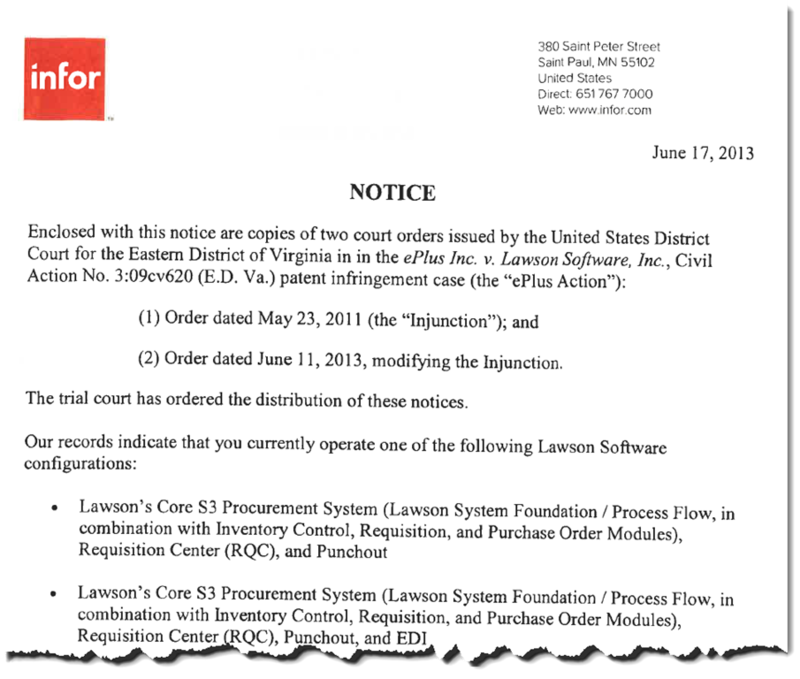 The court has modified the finding against Lawson/Infor by removing the RSS-only configuration; since the bulk of customers have upgraded to RQC, it no longer applies. This leaves any customers using either punchout, or EDI in conjunction with punchout (essentially, punchout functionality was the original basis of this alleged patent infringement). Those customers are at risk of not being supported—for any Lawson product—if they have punchout or EDI installed on the server. And yes, I have had customers who were refused support in this configuration even though the case had nothing to do with procurement. The case is turned over to the client’s account rep to figure out what products need to be replaced in order to comply with the court order.